North State Products brand ABC-PIT! Hog Pit Treatment from Piedmont Animal Health provides a simple, reliable biological solution for removing organic solids in your hog pits. It’s 100% safe for your animals, easy to apply, and proven to reduce odor. The treatment breaks down waste and improves pump-ability by converting organic solids into environmentally safe carbon dioxide and water. ABC-PIT! 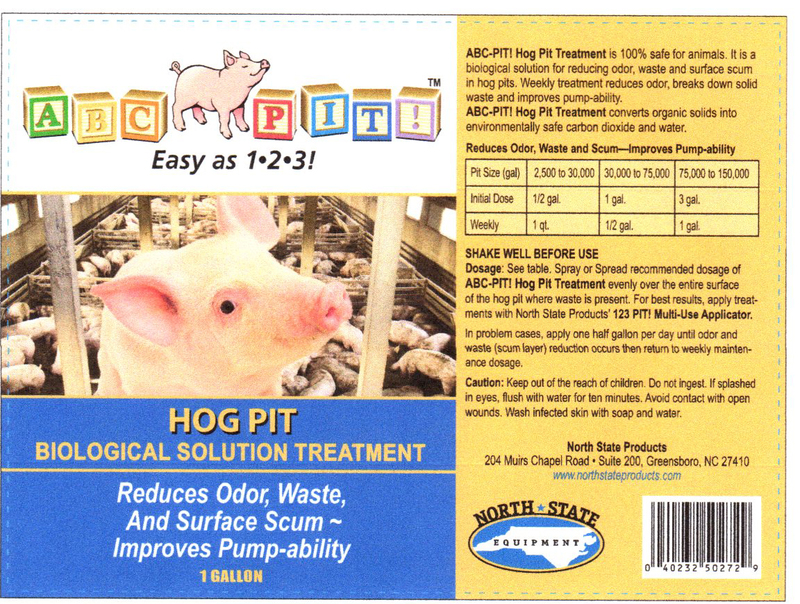 Hog Pit Treatment is available in 1-gallon containers. See label for recommended dosage and usage directions.